Why we need to help young people find jobs, even if it costs taxpayers money. 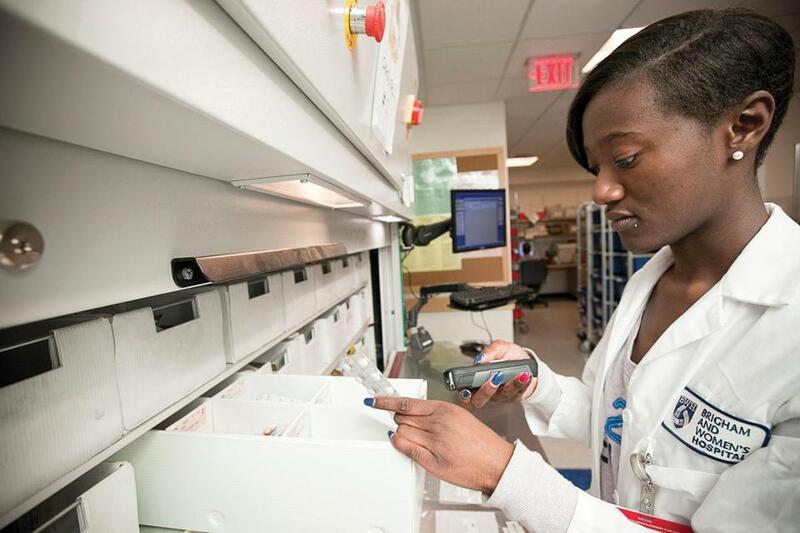 A young woman working in a position brokered by a Boston summer jobs program last year. Wilson submitted several applications to local businesses, but the process would always stop there. “I would never hear back,” he says. Wilson is not alone. The summer months have traditionally been a time for teenagers to gain exposure to the world of work. Even beyond the paycheck, these experiences offer important lessons on time management, accountability, and effective communication with fellow employees and customers. Research shows that working during these years improves post-high school employability and earnings, for both college and non-college-bound graduates. But over the past 13 years in Massachusetts, the summer job has faded away as an option. The teen summer employment rate in this state fell from 67 percent in 1999 to just 35.7 percent in 2012, the lowest rate in at least three decades, according to Andy Sum, director of Northeastern’s Center for Labor Market Studies. Sum says that low-income youth, as well as blacks and Hispanics, fare the worst in finding employment. Those are exactly the teenage groups that tend to need jobs the most — not to earn spending money for video games, as too many people assume, but so they can help support their families. There are solutions to this crisis, but it takes taxpayer investment in finding paid private-sector placements and subsidized opportunities. Dashawn Wilson recently accepted a paid summer internship with the Red Sox, a job brokered through Mayor Tom Menino’s Summer Jobs Campaign, which is funded with several million tax dollars. Massachusetts also has two state-funded programs designed to connect students with paid jobs and internships with private employers. YouthWorks provides subsidized job opportunities to low-income teens and young adults, primarily during the summer. Connecting Activities is an initiative designed to drive and sustain the Commonwealth’s School-to-Career system. In Boston, where Menino’s jobs campaign is integrated into the city’s broader workforce development and economic policies, employers value the opportunity to introduce young workers to their industries. Large employers like John Hancock, State Street Corp., Vertex Pharmaceuticals, and area hospitals are all hiring scores of teens. Many companies, however, don’t hire young people at all. Our Youth Jobs Coalition, which each year organizes 1,000 or more young people to make the case in the Legislature for teen jobs, found 357 Boston companies with 100-plus employees that do not hire youths. This is shortsighted. Employers frequently note that many young workers are unprepared. But it’s impossible for anyone to be prepared for a career if they can’t obtain their first jobs. If we want a strong workforce later, we all need to step up today. Dan Gelbtuch and Lew Finfer are organizers for the Youth Jobs Coalition. Send comments to magazine@globe.com.